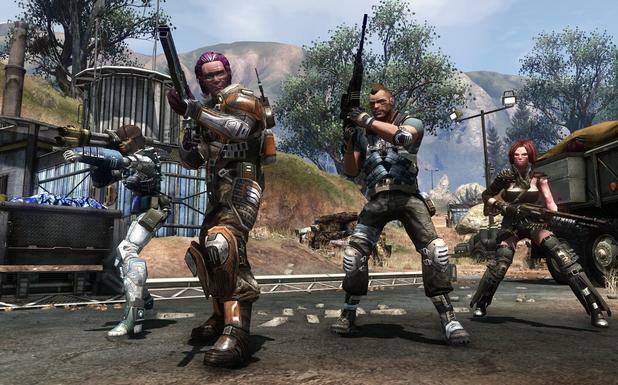 Syfy’s sprawling, platform-hopping show Defiance continues to gain momentum. Hot on the heels of the television show earning a second season, the developing team at Trion have confirmed that the video game tie-in will receive five hefty instalments of downloadable content, and the first is set to drop later this month in time with a software patch. The preliminary pack will be called ‘Enter The Castithan’ and will be available in pay-to-play and free-to-play increments. The latter will include a host of new weapons, Siege game modes, a player-vs.-player map and various updates to the user interface and bug fixes. However, for a $10 fee, players will gain access to the new Castithan species, a unique Raptor vehicle and a slew of extra outfits, items and even a fresh story mission. Attached to this downloadable pack for Defiance is an update to the store, which will include a variety of goods, namely new mods for the Castithan blades, added weapons and vehicles and an overhaul to character customisation. Upon release, the team at Trion seemed to have their ambitions measured out. Over on the game’s blog, they speak candidly about Defiance and the MMO’s potential for the future. At present, the company have over a million registered users for the game and, now that they plan to bolster the title with five batches of added content, they seem to be confident in their ability to sustain the title for the foreseeable future. The aforementioned software patch will hit before the end of May and is set to tie the show and the game closer together in an as-yet-unknown way – which, quite frankly, is the best way to spearhead the property’s promotion. Defiance was Syfy’s second highest premiere ever in the 18-49 demographic and is currently pulling in considerable viewing figures with each passing episode. Mind you, it’ll be interesting to see how the television show and the game co-exist over the next six months. Tell us, have you enjoyed your time slaughtering Hellbugs in Defiance? And are you excited by the prospect of new content? Let us know your thoughts in the comments below.